I have an obsession with French fries. I love, love, love them. They are a combo of one of my favourite foods (potatoes) and cooking methods (deep-frying). If deep fried foods weren’t so calorific, I’d definitely indulge in them daily. The crunch and texture differences get me every single time. I’ve tried making french fries at home multiple times and they never turn out quite as good as when someone else makes them. I’m not sure if it’s the commercial deep-fryers, or some secret that I don’t know about, but every time I give french fries a go, they end up disappointing. Some of the best french fries (or chips, as the British like to call them) I’ve had were at Heston Blumenthal’s restaurant, Dinner. The triple cooked chips were insanely good. They had crispy-crunchy, shattering exteriors and fluffy, moist interiors. They were so good that I should have known my at-home attempt would be pale in comparison. No surprise: they were ok, but not great. Definitely not as crunchy as I wanted them to be. I think I over cooked the potatoes a bit when simmering them. These were a little too fussy to try again, but I think trying again is going to be the only way I get to eat these fries unless I can somehow make my way to London again. 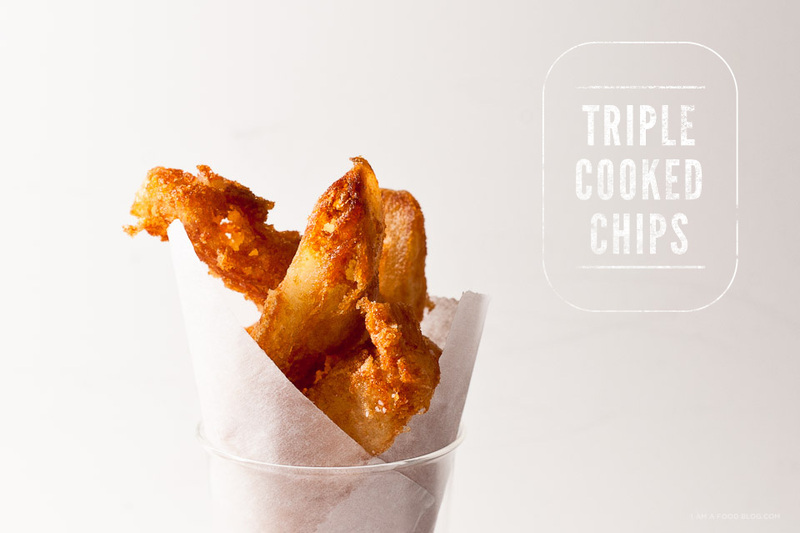 i am cooked, i am cooked, i am cooked again: i am triple cooked fries! triple cooked fries?! sounds amazing! After boiling and drying off, how long do you put in the freezer for this stage? At least an hour. 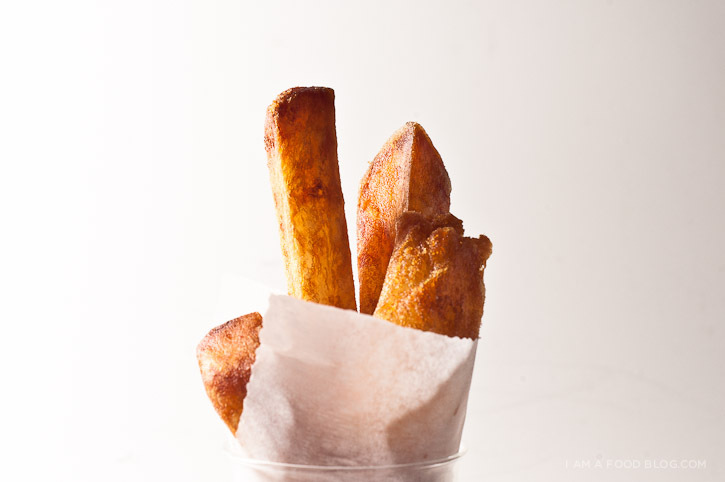 If you’re not planning on eating the fries right away, after the hour, you can put them in a freezer bag and keep them in the freezer until you’re ready to fry. I’m new to your blog and absolutely love it. I’ve done the double-fry (the only way to go) but haven’t done the triple cooked fry! So intrigued. Can’t wait … french fries are definitely an obsession of mine as well! Oh my god! What a nice blog! Will come back for sure! It could have been too much moisture in the potato that meant you didn’t get the mega crunch. Start with a potato that is already low in moisture…cut the potato with the skin still on, squeeze near the edge, if there is water or bubbles, then its too high in moisture. Also, when potatoes are washed and scrubbed for supermarkets, they will usually retain more moisture, so buy potatoes that are still covered in dirt and clean yourself. These look soooo good! I confess that french fries are my favorite food. Can’t wait to try them! Your photos are fab. Are they your own work? Are maris piper the best potatoes for these fries? Maris piper are best if you can find them. They’re quite common in the UK, but not so much in North America. these are the best fries i’ve ever had..! they taste much better than lambweston’s stealth fries;! Love the recipes and craft of the site. As far as the fries between fryings put them in ice water for 20 minutes. They come out crispy on the outside and soft in the middle. Learned that on the No Reservations “how to” episode. I am a big fan of Heston! This recipe of his is just amazing! 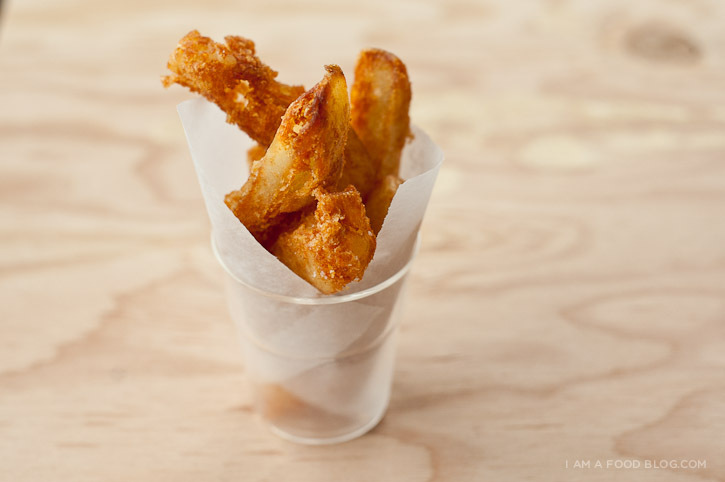 If you have 17 hours to make effing french fries, heres the recipe for you!! *Sounds good! – *HOWEVER – would probably be too time consuming and complex for today’s “family cook and meal “preparer”! 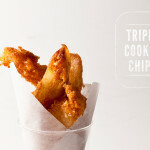 i saw these triple cooked fries on unique eats…so glad i found your site for the how to. Can I use peanut oil instead of grapeseed oil?